The upcoming five-day/four-night 2016 Axes & Anchors cruise — setting sail from Miami, Florida on February 20 aboard the Carnival Victory, stopping in Key West, Florida and Nassau, Bahamas, and docking back in Miami on February 24 — has announced two new artists to the cruise lineup. Gilby Clarke, best known for his time as rhythm guitarist for GUNS N’ ROSES, and Tony MacAlpine, one of rock’s most amazing and versatile musicians, are just two amazing artists that Axes & Anchors cruise will be adding to the already stellar lineup. Clarke will perform two full concerts with his band, and also offer a one-hour guitar workshop, and a photo op with each passenger! MacAlpine will also perform two full concerts with his band, conduct a one-hour workshop, attend the rocktail party for Platinum VIPs, and a photo op with each passenger. 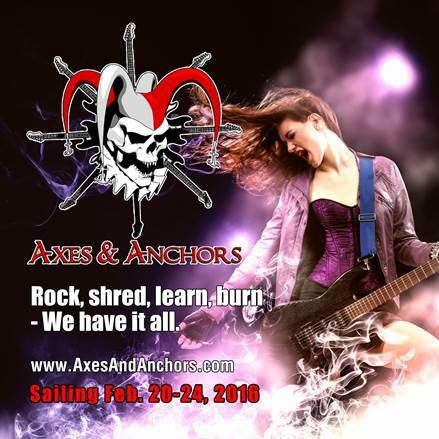 The Axes & Anchors cruise features a line-up of world-class rock and metal musicians and their bands including Zakk Wylde (OZZY OSBOURNE, BLACK LABEL SOCIETY), Yngwie Malmsteen, Michael Schenker (SCORPIONS, UFO, MSG), Alex Skolnick (TESTAMENT, TRANS-SIBERIAN ORCHESTRA), Tony MacAlpine, Tracii Guns (L.A. GUNS), Gilby Clarke, Dario Lorina (BLACK LABEL SOCIETY, LIZZY BORDEN), and more, performing concerts and conducting workshops. Passengers can look forward to more than 40 mindblowing shows over the course of the five days/four nights on board. In addition, more than a dozen workshops by day in guitar-oriented and non-guitar musical topics will train your brain. And the cruise plans on featuring gear demos and displays from some of today’s premier guitar and gear manufacturers. Of course, there will be plenty of time to splash in one of the on-board pools, roll the dice in the casino, soak up some sun on exotic beaches, explore the sights and sounds of Key West and Nassau, or just relax and sip your favorite beverage on the deck, all while rubbing elbows with some of the hottest rock legends and their even hotter fans. Tickets for the cruise start at the competitive rate of just $899 per person (based on double occupancy), and include all accommodations, meals, concerts, open workshops, games, photo ops and more. Since the ship holds a limited number of passengers, early booking is highly encouraged. Tickets are on sale now at www.AxesAndAnchors.com, and monthly payment plans are available. This summer marks Rock Against Dystrophy’s third year of benefit concerts in New Jersey and it’s second with an All Star line up. This years New Jersey benefit will be taking place on Saturday, August 22nd at New Jersey’s rock and metal haven Dingbatz in Clifton, New Jersey. 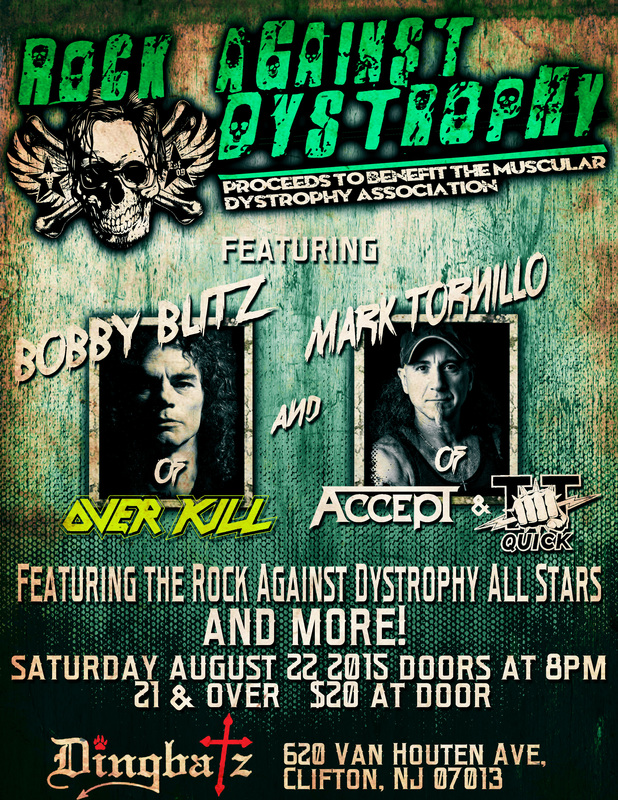 This years Rock Against Dystrophy All Stars will once again feature Mark Tornillo (ACCEPT/T.T. QUICK) and Bobby Blitz (OVERKILL) with more to be announced in the coming weeks. The MC for the event, returning for his 3rd time, will be TattooTony of Under My Skin Tattoo. Proceeds from Rock Against Dystrophy events go to benefit the Muscular Dystrophy Association. The first eight albums from the legendary heavy metal band BLACK SABBATH are being re-released on vinyl. The reissue campaign will kick off on June 22 with SABBATH‘s self-titled debut album (1970), “Paranoid” (1970) and “Master Of Reality” (1971). They will be followed by the June 29 re-releases of “Vol. 4” (1972), “Sabbath Bloody Sabbath” (1973) and “Sabotage” (1975). On July 13, SABBATH‘s “Technical Ecstacy” (1976) and “Never Say Die!” (1978) will be reissued. All eight albums will be made available on heavyweight 180-gram vinyl and CD. 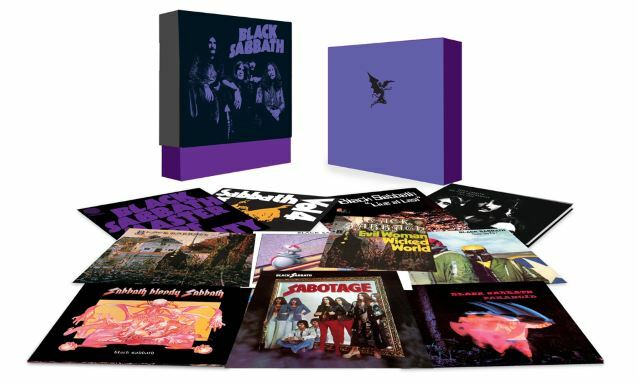 SABBATH‘s early original-lineup catalog was previously reissued on vinyl in 2012 as a limited-edition box set, “The Vinyl Collection: 1970-1978”. Iommi, who was diagnosed with cancer in early 2012, dismissed rumors last month that his health was the reason why the band canceled the Ozzfest Japan show. Original BLACK SABBATH drummer Bill Ward, who has recently engaged in a public war of words with Ozzy over the reasons why Ward did not participate in the SABBATH reunion, has released his first solo album in 18 years. Titled “Accountable Beasts”, the record can be purchased on iTunes. 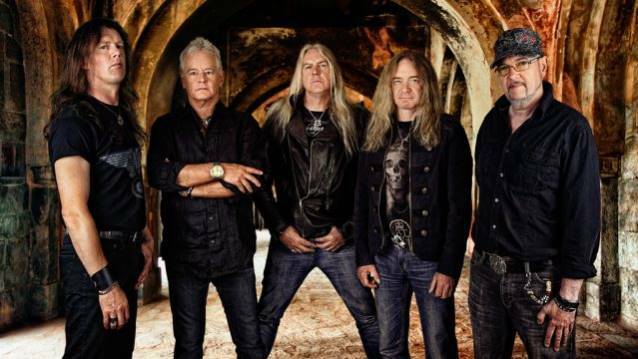 British heavy metal legends SAXON have set “Battering Ram” as the title of their 21st studio album, tentatively due this fall via UDR Music. “Battering Ram” is once again being helmed by acclaimed British producer Andy Sneap (MEGADETH, EXODUS, TESTAMENT, ACCEPT). 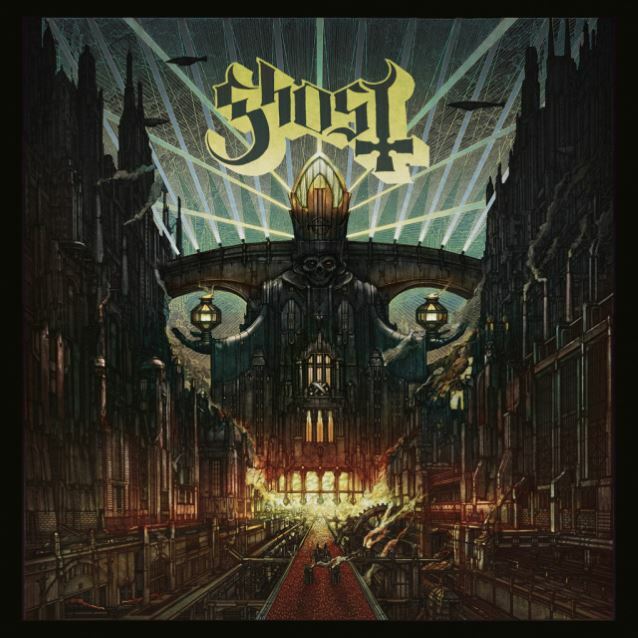 Swedish occult rockers GHOST will release their third album, “Meliora”, on August 21 via Loma Vista Recordings. The follow-up to 2013’s “Infestissumam” was helmed by Klas Åhlund, a prolific songwriter, producer and guitarist who is also a member of the Swedish rock band TEDDYBEARS, and was mixed by Andy Wallace (SLAYER, NIRVANA, SEPULTURA, LINKIN PARK, GUNS N’ ROSES). The album’s first single, “Cirice”, is tentatively due at the end of May or in early June. GHOST‘s June 3 warm-up show at at Doom in Linköping will serve as the group’s live debut with “new” singer Papa Emeritus III, the three-month-younger brother of GHOST‘s previous frontman, Papa Emeritus II. The latest issue of Sweden Rock Magazine marked GHOST‘s final photo session with Papa Emeritus II before he was “fired” and succeeded by Papa Emeritus III. GHOST is planning to return to the studio before the summer to record several cover songs, including one by Leonard Cohen and another by the ’80s Swedish band IMPERIET. GHOST‘s last release was a covers EP, “If You Have Ghost”, which sold around 5,000 copies in the United States in its first week of release to debut at position No. 87 on The Billboard 200 chart. Issued on November 19, 2013 via Loma Vista Recordings, the five-track EP was recorded and produced by Dave Grohl (FOO FIGHTERS, NIRVANA), and included cover versions of songs by ROKY ERICKSON, ABBA, ARMY OF LOVERS and DEPECHE MODE, plus a live version of the GHOST offering “Secular Haze”, recorded in Brooklyn earlier that year. “Infestissumam” was certified gold in Sweden last fall for sales in excess of 20,000 copies. Note: The International Federation of the Phonographic Industry (IFPI) in Sweden has revised the sales requirements for albums to reach gold status in the country twice in the last seven years — from the pre-2002 level of 40,000 to the current 20,000. “Infestissumam” sold around 14,000 copies in the United States in its first week of release to debut at position No. 28 on The Billboard 200 chart. 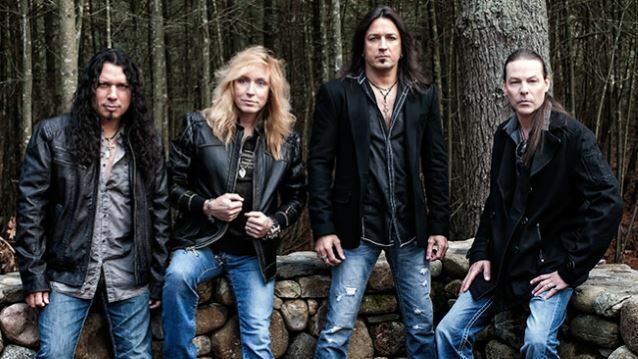 “Fallen”, the new album from STRYPER, will be released worldwide on Friday, October 23. The CD was tracked at SpiritHouse Recording Studios in Northampton, Massachusetts and will include a cover version of the BLACK SABBATH classic “After Forever”. Songtitles set to appear on “Fallen” include “Let There Be Light”, ‘Big Screen Lies” and the title track. 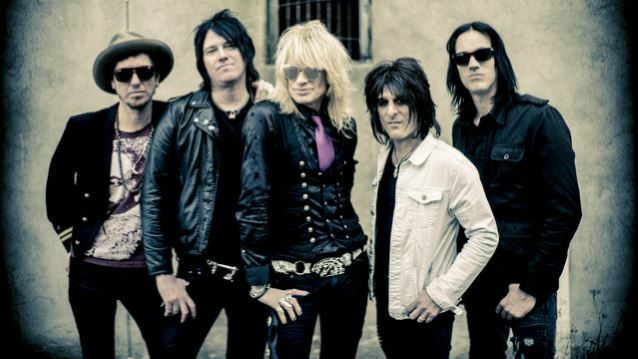 Former HANOI ROCKS frontman Michael Monroe will release his new studio album, “Blackout States”, on Friday, October 16 via Spinefarm Records. The 13-track follow-up to 2013’s “Horns And Halos” was produced by Chips Kiesbye (HELLACOPTERS, NOMADS) in Gothenburg, Sweden, and mixed by Petri Majuri in Helsinki, Finland. With “Blackout States”, Monroe‘s current touring and recording outfit — comprised of bassist Sami Yaffa (ex-HANOI ROCKS, NEW YORK DOLLS), guitarist Steve Conte (ex-NEW YORK DOLLS, COMPANY OF WOLVES), guitarist Rich Jones (ex-BLACK HALOS, AMEN), and drummer Karl Rockfist (ex-CHELSEA SMILES, DANZIG) — provided strong creative support for a groundbreaking artist whose reputation continues to flourish. Many of rock’s most noted performers, including Dave Grohl and Slash, have cited Monroe‘s unwavering drive and three-decade-plus career as a genuine source of inspiration. Indeed, when Slash headlines the Ice Hall in Helsinki on May 28, Monroe will be the invited “special guest,” opening the show in front of thousands of fans; after that, he heads across to London to play the Camden Rocks festival on May 30. This one-off U.K. appearance at Camden Proud will be filmed by videographer/photographer Ville Juurikkala for inclusion in the video for the first single from “Blackout States”. As with “Horns And Halos”, the new recordings see Monroe both toasting the future and honoring the past, occasionally giving the nod to glam punk pioneers HANOI ROCKS, the group with which he forged his name in the early-to mid-’80s. Monroe has a number of festival appearances locked into place for the spring and summer, with further international touring plans to be announced shortly.